is one of the most crucial elements of branding a company. A logo is what sticks with people. It has to make an impression and say something memorable about your company or brand without the advantage of using words. Not only that, but a logo must be memorable, and must stand out in someone’s mind. Imagine that you own a t-shirt company. Your logo should be memorable that when a potential consumer thinks about purchasing a new shirt, they think of your brand, your t-shirts. Logo Design just isn’t an exact science. There is no “right answer”; all we have to go off of are the successes and failures of those companies who have come before. Its a delicate balance to incorporate the aspects of previously successful logos, without repeating something that has already been done. This article will cover some tips that may prove useful to anyone in the middle of the logo design process. 1. Grabbing a logo from google image search: Don’t do it. We don’t really have to go into why you shouldn’t do this, right? Not only do you run the risk of your company being served with a nice, fat cease and desist notice, you can cripple your company’s reputation, not only to consumers but to fellow business owners. Yes- it may be the easy way, but if someone can find your logo on the first page of image results- then chances are you have denied yourself both the ability to be unique,(since the likelihood of someone else picking the same logo is almost 100%), and denied yourself and your company an opportunity to showcase it’s innovation and creativity. In laymen’s terms? its lazy, and probably also copyright infringement. Don’t be that company. Hire a professional, look at portfolios, show the world that you have passion for your company by taking the long way and having a logo designed just for you, with your voice, to showcase your company. A good logo has no fat to trim. If you’re looking at your logo and can erase anything without changing the meaning of the image, or taking away from the image itself- do that. Good logos are ruthlessly edited- stripped down to as clean and sharp as possible without losing intent. Let’s look at some famous examples. If you’re not familiar with this contemporary logo design, it is for “Beats by Dre”, a company which sells high-end head phones and speakers. This logo design couldn’t be more simple. 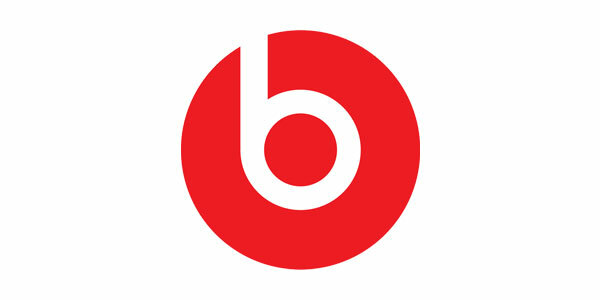 It is a red circle with a negative space “b”. This logo is strangely memorable- and very clever (the negative space “b” can be interpreted as a headphone), and most notably, it has no frills. It doesn’t have text or complicated gradients, it is simple, impactful and wildly successful. Here is one everyone will know. Apple. 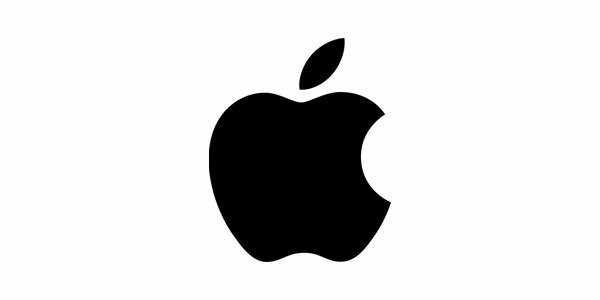 The logo itself is an apple, but not a whole one. It is an apple with a bite taken out of it. This is likely one of the most recognizable logos in the world, and you could draw it with your eyes closed. 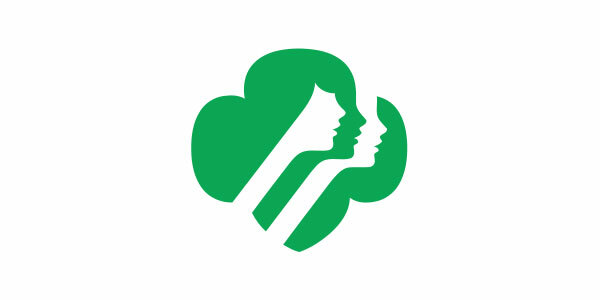 This logo gets to the point with its authoritative choice of color, sleek, minimal design, and content. This logo design does exactly what it is designed to do, and nothing else. 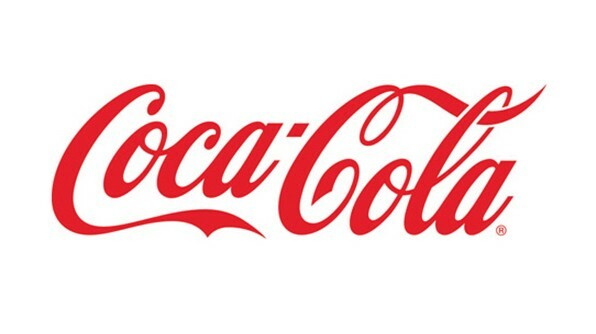 Many companies opt into using a small amount of text to accompany their logos. In the event that you choose to add some text to your logo, give the extra effort and go with a custom design typeface. Some of the most successful logos in the market today incorporate custom typefaces into their logo design. There are multiple reasons for this, the first and foremost being individuality. If you’re just grabbing some font off microsoft word, then you aren’t being unique. Remember, countless people have access to that same font and it is used and replicated countless times. Your logo should be one of a kind- something that doesn’t exist yet so that people remember it. Secondly, using a typeface that someone else has designed starts to tip toe back into that “copyright infringement” area. Generally speaking, most designers don’t allow their fonts to be used for commercial means. 5. K. I. S. S.
The “k.i.s.s.” principle is one that any designer should keep in mind, regardless of whether they are creating an entire program or designing a logo. K.i.s.s. stands for “keep it simple, stupid”. We can’t help it- as humans we love to over-complicate things and express our complex social, moral, or artistic ideas in equally complex ways. The problem is that a good logo design is subconscious- a simple glance should be enough to commit a logo to memory. If you are using complex gradients, or too many fonts, or too much text, or whatever other bells and whistles, then you are diluting your own message, and making sure that your logo lacks the impact to be committed to memory after a glance. Look at some of the most successful logo designs that are around today- most of them are one to two colors, and if they have a font, it is one or two words in a custom typeface. There is no need to reinvent the wheel here… just keep it simple. 6. Use Negative Space to Your Advantage. Think about the ways you can add white space to your logo. Take inspiration from the USA logo and let one letter stand out in negative space. It can have a bold impact on your logo. That’s because our minds are drawn to puzzles. 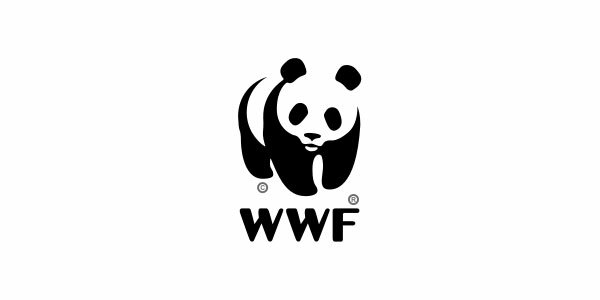 A logo with white space is similar to a puzzle. Our brains will try to figure out what’s missing. The result? A memorable logo because the brain has lingered. Before humans can read, they can recognize logos. Three year olds recognize McDonald’s, Toys R Us, and Disney before they can read the word “cat.” This is because the brand behind the logo consistently delivers a reward that the kid can understand and appreciate. All humans, no matter the age, operate on this same basic reward system. A logo is made memorable by the experience you can consistently deliver. Although it’s important to get the design right, if the experience falls flat, your logo may be memorable for the wrong thing. Avoid the temptation to muddy the waters with too much frill. Instead, design your logo as if you were designing for a child. It should be clear and simple. And, when in doubt, edit it out. Many start-ups maker the mistake of overlooking how important a good logo or branding is for a fledgling company. Don’t fall into that trap- take the time and energy to build your company from the ground up without taking shortcuts. Hire a professional (or professionals) to make sure that your logo design can stand the tetst of time and will be the best representation of your brand and your company’s message to potential consumers.